This retrospective study is looking into the long-term morbidity after endometrial cancer staging surgery and compares the long-term morbidity of patients who underwent open staging surgery vs. robotic approach. 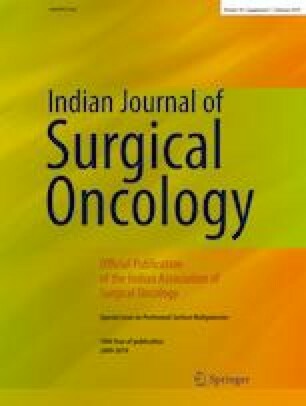 One hundred twenty-nine patients who underwent staging surgery for endometrial cancer from January 2014 until June 2017 were included in the analysis. Morbidities occurring 1 month after surgery—vault complications, incisional hernias, vault dehiscence, and lymphedema—were looked into. There were no statistically significant differences between the long-term complications in both groups (vault infection 5.1% vs. 1.4%, vaginal cuff dehiscence 1.6% vs. 0%, incisional hernia 6.8% vs. 0%, and lymphedema 11.8% vs. 10% in open vs robotic groups respectively). But as far as clinical significance was concerned, patients who underwent robotic staging surgery had a significant decrease in vaginal cuff complications and incisional hernia. Our study shows that robotic-assisted surgery can reduce even long-term morbidity in patients undergoing surgery for endometrial cancer.